Another tragic death is resulting in an almost equally sad dispute over assets and distribution of an estate. The family of Former Florida Marlins ace Jose Fernandez, who died in a boating accident last year, is currently embroiled in an estate dispute, which is another reminder of how important it is to plan ahead to avoid disputes between family members. Fernandez and two passengers were killed last September, when a boat they were in crashed off of Miami Beach last September. It is believed that Fernandez was piloting the boat. There is some indication that alcohol may have been involved in the accident. Aside from the obvious human tragedy, the accident also started a legal battle with regard to Fernandez’ estate. Fernandez died without a will, leaving a number of open questions. The first problems were paternity issues. Fernandez’ girlfriend was pregnant with Fernandez’ child (who has since been born), but there was never any official paternity determination that Fernandez was the father, which would be needed for her to have the rights that a biological child would have in a father’s assets and estate. Paternity has since been established or at least agreed to by all the parties involved. Then, a determination of the division of assets had to be made as between Fernandez’ mother and his girlfriend. Without a will, his girlfriend could potentially have been left with nothing. Thus, the chance remained that Fernandez’ child could have had nothing, without a paternity determination, and his girlfriend left with nothing. That didn’t happen—a Miami-Dade judge has ruled that both Fernandez’ mother and girlfriend will control the assets of the estate. They will need a court order to withdraw from the assets, particularly as the assets are for the benefit of Fernandez’ newborn child. But even though this story ended well (from a legal estate standpoint), it still demonstrates what can happen with what is an ordinary family situation when there is a lack of estate planning. The other lesson is one in the importance of planning before catastrophe happens. The families of the other passengers are suing the estate for wrongful death, contending Fernandez’ negligence in causing the accident. 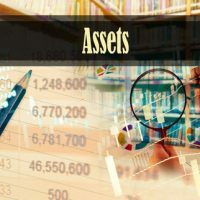 Thus, the estate assets may be lost to pay those claims, although the judge has ordered that the estate proceeds be placed in a trust for the benefit of the child, and thus may still have some protection from creditors. Had the assets been placed in a trust or other vehicle that was exempt from creditors before Fernandez death they potentially would not have been subject to these lawsuits. People with assets should take heed that an asset protection vehicle, such as certain types of living trusts, can be used to protect their estate should they be involved in an incident where it’s alleged they caused death or injury to someone else. Plan ahead to make sure your family and assets are protected. Contact Tampa business attorney David Toback to discuss a comprehensive will and estate plan for your family.